The Cumberland Valley is home to many great places to find pizza and each month I’m tasked with the “unfortunate” (heavy sarcasm) responsibility to eat and write about these pizza spots. 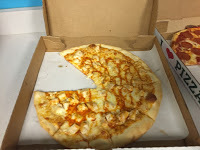 This month we tried Napoli Pizza, located on the Harrisburg Pike in Carlisle and as you can tell by the pictures, we didn’t waste any time digging in. We went with a Plain Cheese, Pepperoni, and for the first time, a Buffalo Chicken Pizza. Pepperoni is typically my go-to pizza, but when Buffalo Chicken is on the menu, I have to try it. Buffalo Chicken Pizza combines two of my favorite things…wings and pizza. While both are great separately, they’re even better together! All three pizzas looked delicious as soon as we opened them (again, you can tell by the photo that we didn’t wait). I wanted to try all three, but I started with a slice of Buffalo Chicken and a slice of Pepperoni. The slice of Pepperoni was good, with just the right ratio of cheese, sauce and meat, but the Buffalo Chicken was what I was mostly after. This pizza does not have red sauce, but rather buffalo sauce, cheese and small pieces of chicken. The combination was delightful and was exactly was I hoping for. This pizza is a little bit hotter than others I’ve had, so if you’re a mild wing person, it may be too much for you. Luckily, we had some Buffalo Chicken Pizza leftover and I was able to enjoy it the next day. 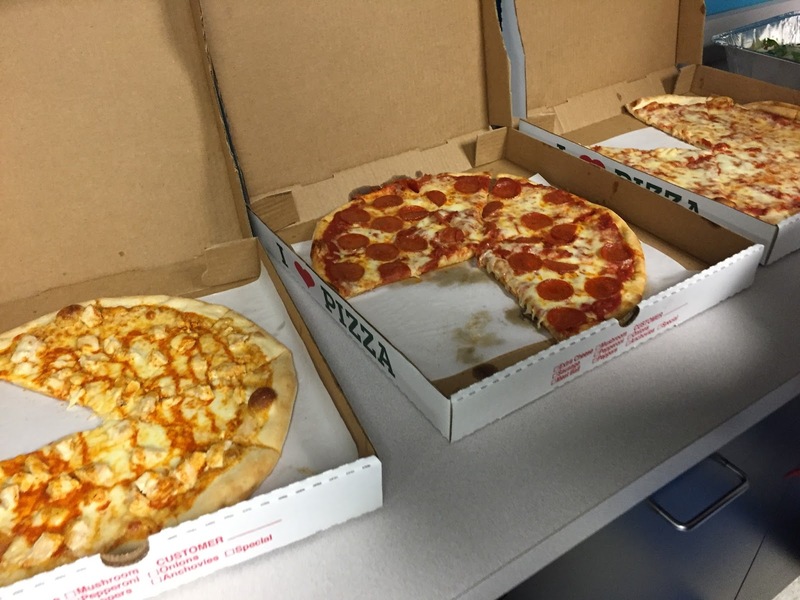 This was actually the first time everyone from our office had Napoli’s and I believe everyone walked away pretty impressed. Napoli’s does deliver to businesses, which is convenient if you’re looking to add pizza to your lunch meeting.